The Tuscan Archipelago offers paradisiacal islands, uncontaminated bays, romantic harbors and ancient villages, all small paradises within a boat surrounded by a crystalline sea: a journey through the waters crossed by the ancient Romans, ships of the Maritime Republics, Palaeolithic peoples, Phoenicians, Etruscans, Romans, Barbarians and pirates. 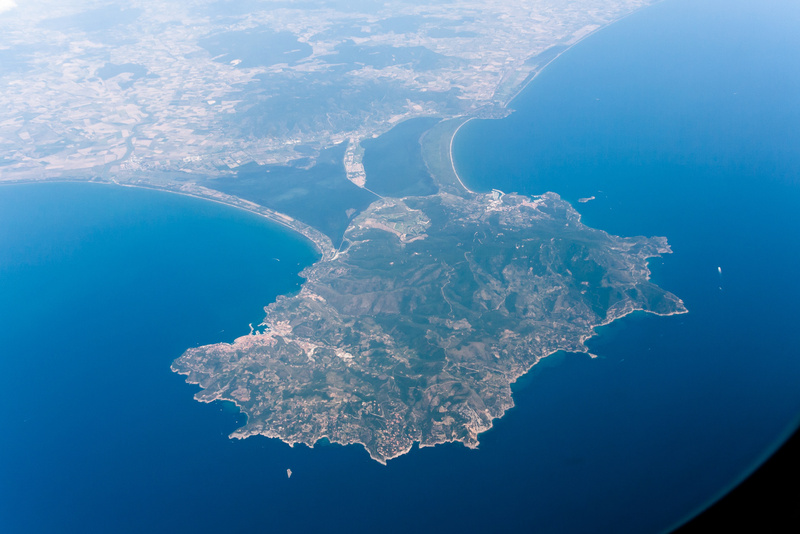 Pisani, Genoese, Florentine, Neapolitan, Spanish, English and French, including Napoleon Bonaparte, who understood the wealth, beauty and strategic position of this small strip of land in the middle of the sea. Here is also the Scoglio dello Sparviero, or Isolotto dello Sparviero, right in front of Punta Ala, our final destination of the day: the sea between these two points is a protected area of ​​the province of Grosseto Of 335.4 hectares, recognized as a site of regional interest (SIR) and site of community importance thanks to the variety of marine and terrestrial flora and fauna. 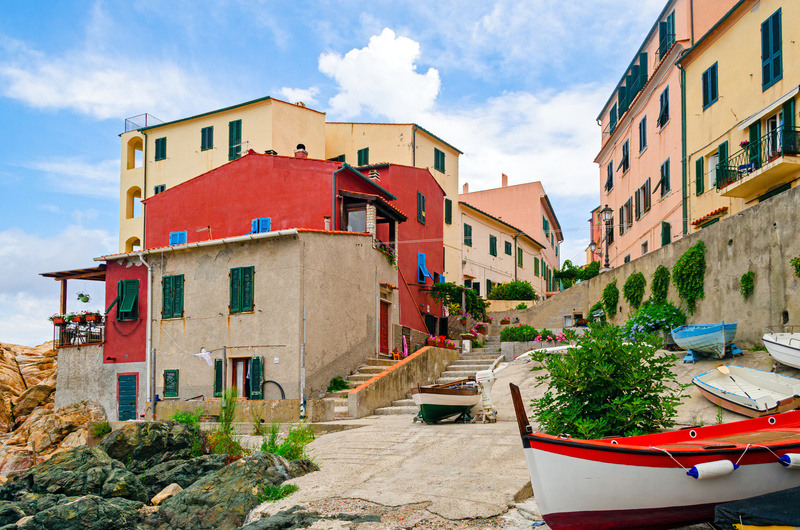 Walking in Porto Azzurro is pleasant: at the base of the fortress are the seaside village and the marina with its promenade that, in addition to the cheerful air of the holidays, also offers quaint and picturesque restaurants on stilts. In this place, as in all the rest of the island, we pass gently from the history, nature and tourism of a modern marina that keeps its appearance intact. 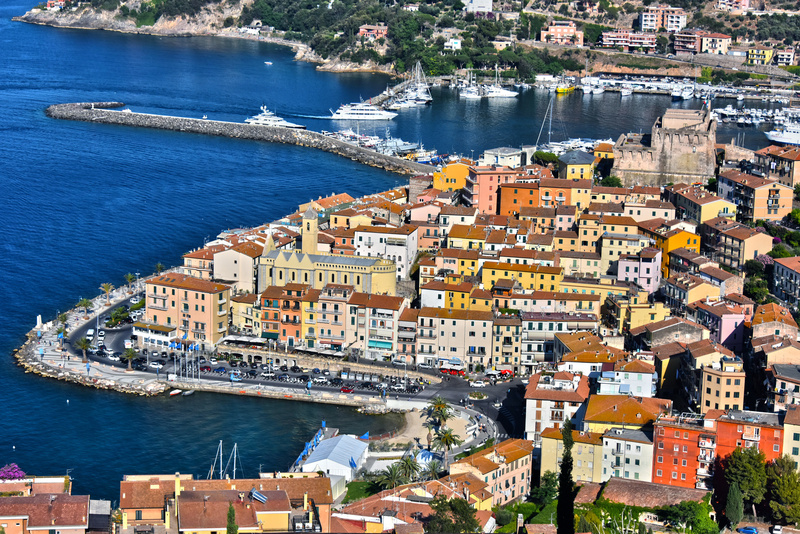 Porto Ercole, an integral part of the so-called "scattered municipality" of Monte Argentario, in the peninsula facing Orbetello. Porto Santo Stefano is located on the west side and is the municipal capital, as well as the largest village, with over 8,000 thousand inhabitants. 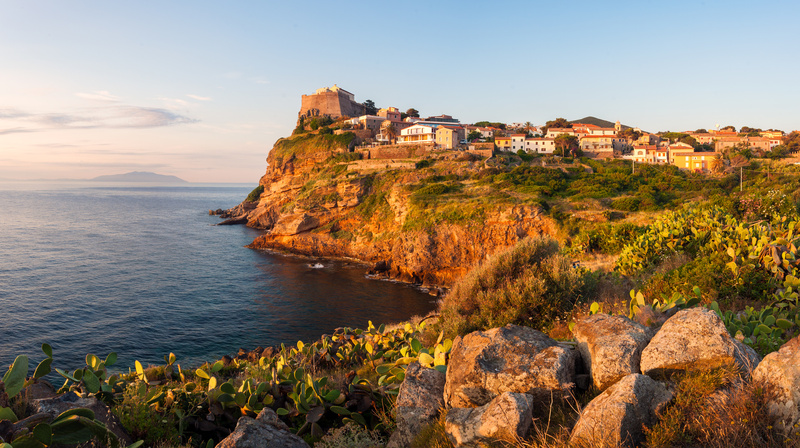 Among the main monuments of Porto Santo Stefano we find the Spanish Fortress and the church of Santo Stefano Protomartire. 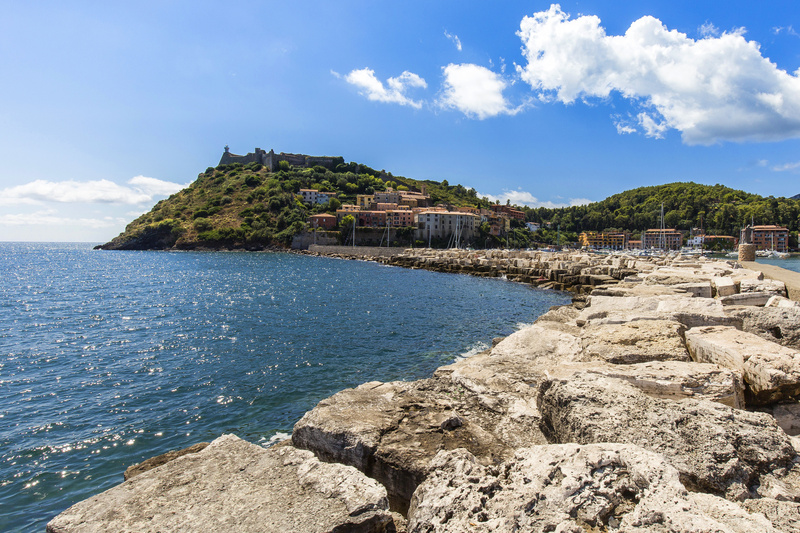 A seaside village that offers the ideal size for summer holidays, in a relaxed atmosphere with places of artistic, historical, scenic and above all holiday. The Isola del Giglio? A small island that enjoys a mild climate and unspoiled and wild nature. Surrounded by the emerald crystalline sea and rich and fishy seabeds, it offers various pedestrian paths, lush Mediterranean flora and numerous botanical species, among which some particularly rare and endemic. 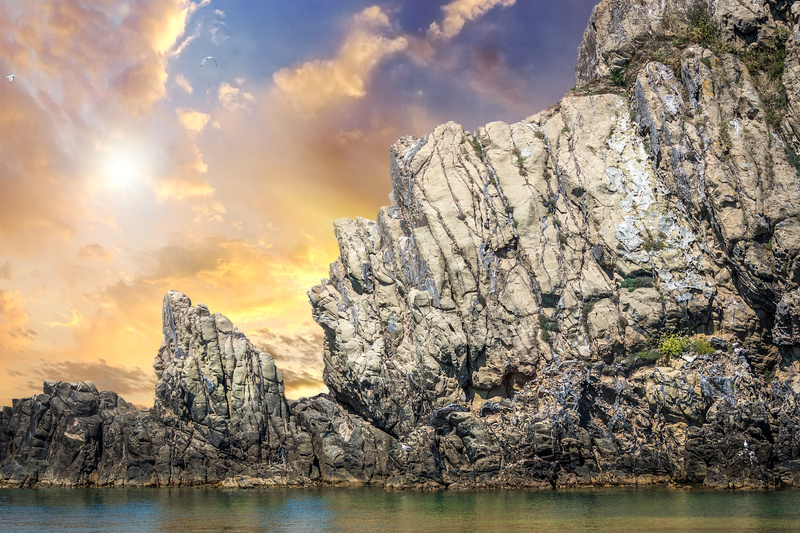 "Il Giglio" is a granite island and has a predominantly mountainous nature. From Poggio della Pagana, at 486 meters above sea level, you can enjoy a breathtaking view of the whole archipelago. The most famous beaches are Campese, Cannelle, Arenella and Caldane and, together with the other smaller and beautiful beaches and coves, are all free access. Giannutri, located in front of the Monte Argentario promontory, is the southernmost of the islands of the Tuscan Archipelago. Called "Artemisia" by the Greeks and "Dianium" by the Romans for its unmistakable arched shape, it is a limestone island rich in tropical and endemic plants now rare in the Mediterranean area, evidence of the particularly mild climate during the winter as well as a destination favorite of small birds such as the minor berta, the monachella and the Sardinian magnanine and of numerous pairs of royal gulls that every year choose its coasts to nest, giving the name to the island of "Isola dei gabbiani". A cove in the cove, from port to port, every day a different destination, one for all: for those who want to enjoy the sea only relax, for those who prefer to live intensely with a more sporty spirit for those who want to combine the cultural interest to holiday in freedom. ...all the ingredients are there, then set sail to discover the Tuscan Archipelago! Discover our Cruises in the Tuscan Archipelago!